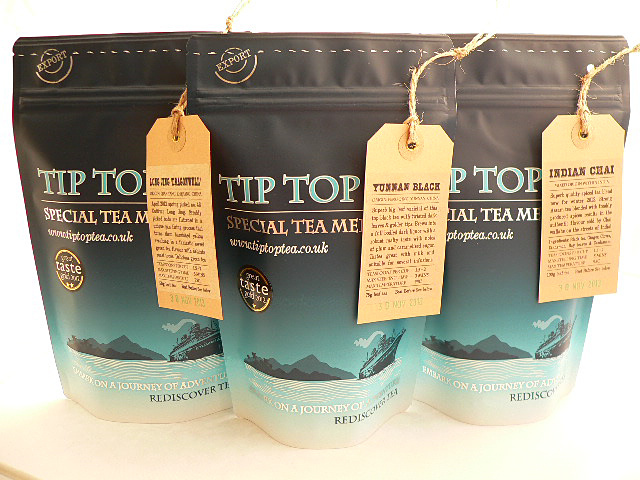 Our Premium giftset allows your personal selection of some of the best teas in the world! Featuring a selection of our best teas and presented in our rustic natural Jute giftbag with window, bright red ribbon, and luxury blank wooden gift tag. 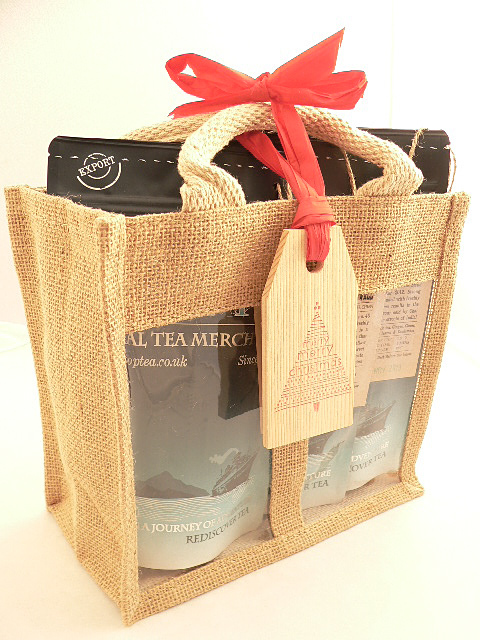 Makes a fantastic tea gift for someone with a taste for the better things in life! White teas: 50g Bai Mu Dan #1 - Superb honey tasting white tea grown in Fujian, China, spring 2016 picking. Green teas: 50g Long Jing - Delicious toasty green tea profile in our higher end green tea from Zhejiang in China, spring 2016 picking. Oolong teas: 50g Mei Shan Jin Xuan - Quality Taiwan oolong with a buttery, floral and pure taste, winter 2015 picking. Black tea: 50g Nepal Golden Thunder - delicate soft and malty profile with a caramel sweetness from these golden tips, grown in the foothills of the Himalayas. RIPE Pu-erh tea: 50g Shu Pu-erh - Our tasty 2010 Pu-erh from Nan-Nuo in Yunnan, aged 6 years. RAW Pu-erh tea: 50g Sheng Pu-erh - Our tasty 2013 Pu-erh from Pasha Shan in Yunnan, aged 3 years.